In 21st century life, the car is just one of a long list of things that we take for granted. The fact is that, although we are starting to realise the impact they can have on our planet, things would be very different without cars. It remains as one of the best and most important inventions ever and has come a long way since its original introduction as a commercial vehicle in the 1800’s. From steam powered engines to electrically powered ones, through to petrol and back to electric again, the car has been constantly redesigned. 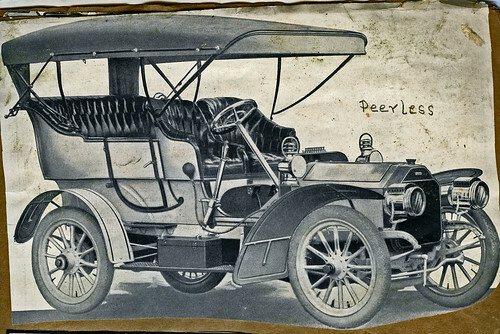 There have been numerous great minds that have worked on creating the automobiles that we know and love today so let’s take a look at a few of the important developments as time has gone by. 1769 – Nicholas Cugnot, an engineer in the French military, attached a steam engine to a three wheeled cart. It was used by the French army to transport their cannons around and supposedly reached speeds of around 3/4mph. 1801 – Richard Trevithick, an English born inventor, developed the steam engine to make it more viable and smaller. He then used it to power a three wheeled cart in what was the first ever horseless carriage. 1876 – German Nikolaus Otto and Sir Dugald Clerk from Scotland invented the first four stroke and two stroke engines respectively. Otto’s four stroke combustion engine was the first to burn fuel directly in a piston chamber. 1886 – Karl Benz, widely credited with the invention of the first commercial car, received the patent for his automobile design and started selling them commercially. These cars worked in a very similar way to the ones we use today in everyday life. 1891 – After the first automobile manufacturer was created in the two previous years, the French car giants Peugeot were formed by Frenchman Armand Peugeot. The Peugeot family originally made coffee makers and bicycles. 1902 – German Wilhelm Maybach designed what is generally known as the first race car called the Mercedes Simplex. The super car was made using light weight metal, a 35-hp four cylinder engine and 2 carburettors. 1903 – The biggest car manufacturing company today, Ford, was created by Henry Ford. The British company is still going strong today and is known worldwide for its reliable engineering. 1912 – The Cadillac is the first vehicle to include Charles Kettering’s invention of an electric starter motor. Before this drivers had to manually start their cars using a crank. 1918 – This date is widely recognised as the birth of the car rental industry. A chigo businessman named Walter L Jacobs used the iconic Model T Ford to initiate his car hire company which was later sold to John Hurtz and is still one of the world’s biggest car rental brands today. Nowadays car hire is a viable and cheaper alternative to running your own vehicle on a full time basis. 1930 – A large amount of the basic technology that we use in our vehicles today had been created by this time. 1965 – The first initiatives to lower emissions were announced and safety measures such as the wearing of seatbelts were made mandatory. 1978 – Mercedes were the first company to introduce anti-lock breaking systems in their vehicles. 2002 – Electricity becomes a viable option for powering cars as both Honda and Toyota began to manufacture vehicles using this method. The Future – With the development of the car being an on-going process, who knows what the future will hold for the automobile industry. You can be sure that more efficient fuels will be introduced with options such as vegetable oil, hydrogen and compressed air already being tested on a small scale. There are also advancements such as driverless cars and systems where convoys of cars are controlled by one lead vehicle that may be closer than you think to being commercially available. Chris Mayhew is fanatical about cars and is blogging on behalf of Collison Motoring Services. They offer trusted and reliable car and van hire in the Portsmouth and Hampshire area.